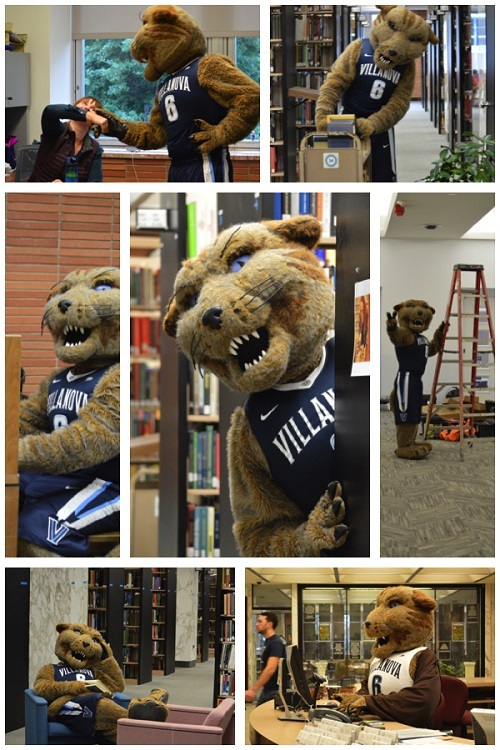 Falvey Memorial Library :: Foto Friday: Happy Birthday, Will D. Cat! Foto Friday: Happy Birthday, Will D. Cat! Today is Will D. Cat’s birthday. Happy birthday, Will, and may you enjoy many more. Does he look like he is 91? Will frequently visits Falvey and its librarians. Collage by Joanne Quinn, Communications and Marketing Dept. Director. Individual photos by Alice Bampton, Communications and Marketing Dept.